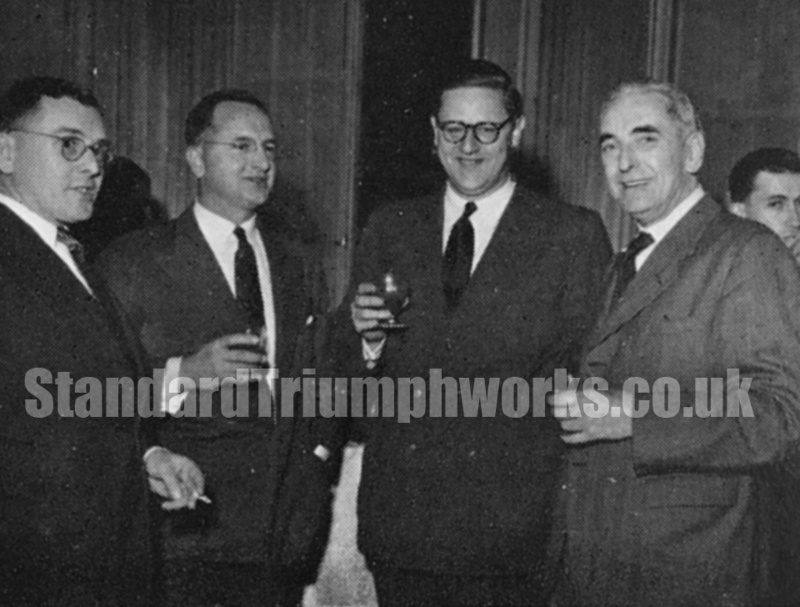 A good period photo from 1954 showing for senior Standard Triumph executives. From Left – Kenneth Aspland, Company Secretary, J Christensen, P Frankel and J Callinan. For more details on these gentlemen look in the directory of individual names.